Having read both of our articles on the 1973 Porsche Carrera 2.7 RS (HERE and HERE), David has been thinking about the Porsche 911 and why the engine is in the wrong place. Has he gone raving mad?! A few years ago, my dad purchased a sixth-hand, ‘91 Porsche 928 S4 with supposedly 320bhp and a top speed of 330kph give or take. And boy, did I luck out. I was already living in the Middle East at the time while he was still at home in Spain, and thus did not have to help bring said Porsche back to life: I should mention here that he bought it for $1 from his current wife’s former husband (my family is complex) knowing full well it would require 2000 hours of restoration work. I did though get to hear, in excruciating detail, about each mechanical step involved in the restoration process, and, as boring as that was, this did give me a glimpse into the genius that is Porsche. How ahead of its time it both was and remains to be, and what attention to detail each model that rolls off the production line continues to demonstrate. The front grille on dad’s 928 for instance has electric fins that automatically close at high speeds to decrease aero-drag, plus tyre pressure sensors, hydraulic motor mounts and a trip computer. Not bad for 1991. I have since driven the restored Porka, and it is fabulous. Fast, yet comfortable, modern yet classic, and still with enough guts to put some sporty currents to shame. 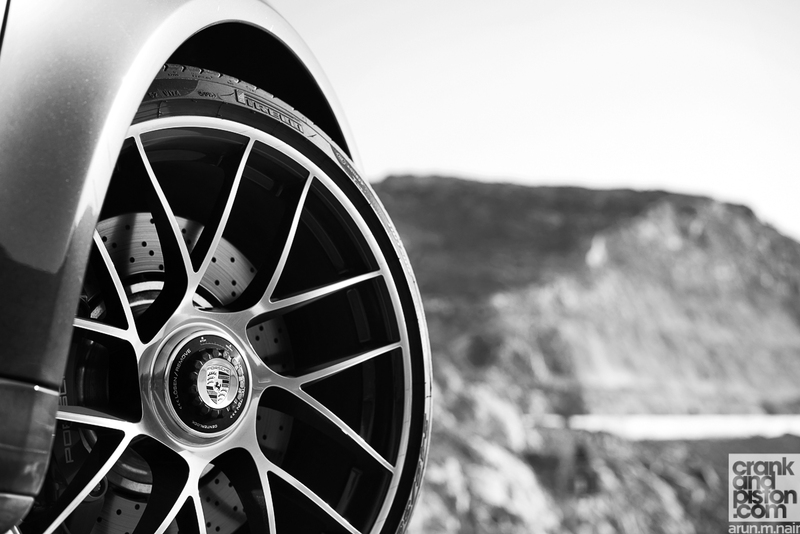 As a 911, it remains, much as Porsche itself still does, THE benchmark in the sports car world. Which seems odd, if I’m being honest, for this company has invested uncountable resources, manpower, brainpower and horsepower into a mistake. Namely, placing the engine behind the rear axle. Okay, hold on, before you yell blasphemy and grab your torches and pitchforks, hear me out. First, let’s examine the tech side of things. In 1963, the 911 was an evolution of the 550 (‘53), which is an evolution of the 356 (‘48), which is an evolution of the Type-64 (’39), which is an evolution of… a rear-engined Volkswagen Beetle. And there are advantages to that configuration. For starters the transmission is closer to the wheels, making the whole package smaller, cheaper and lighter. The fuel piping is shorter too, and the laws of inertia lift the front wheels on acceleration, which both reduces drag and increases traction, and moreover makes the setup almost unbeatable in terms of acceleration. Of course it’s not all sunshine and rainbows. A rear-engined setup generally makes cooling more difficult, maintenance harder, and, of course, the handling much worse. Porsche’s answer to this? Vents everywhere, ridiculously large radiators and mobile wings that trap just enough air to keep the flat-six from burning up. Let’s also not forget that three other classic mainstream models still on-sale today – the Beetle and the FIAT 500 – all started off with their engines in the back, but have since moved them. Porsche hasn’t. Not that Porsche is stubbornly sticking to its guns. 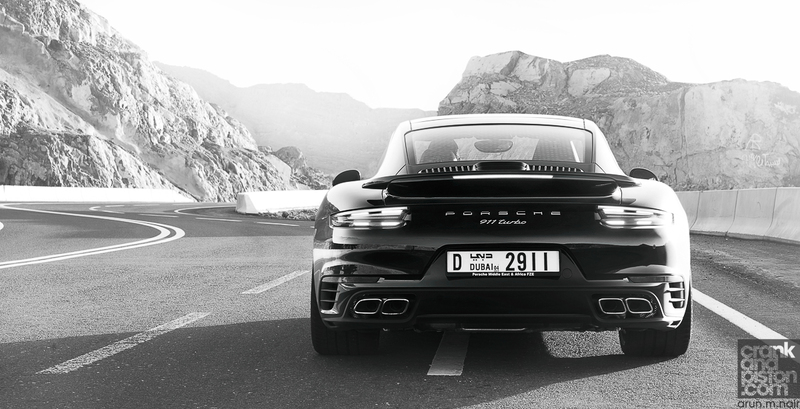 Both the Cayenne and Panamera proudly boast their turbocharged Vs behind the front axle, while Stuttgart’s trio of supercars – the 959, the Carrera GT and the hybrid 918 Spyder – are all mid-engined, so it’s not like Porsche can’t change its policy. With the 911 though, and even after 53 years and countless generations, it hasn’t. Why? Many would argue that this is indicative of the classic 911’s quintessential quirky character, how the front wheels lose grip under acceleration, forcing you to learn to ‘drive it properly’. All true, but also poppycock, for there is a litany of once ‘irreplaceable’ setups that the motoring world – and particularly Porsche – has bid farewell to. A boxer engine has always been at the heart of a 911, but across the years its capacity has changed from four cylinders to six, from 2.2-litres to 3.0 and 3.4, and now onto 4.0, and there’re even hints of a hybrid 911 in the years to come. So not too attached to number of cylinders or engine size. 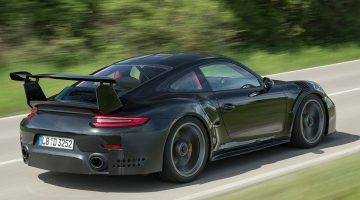 It’s naturally aspirated, except for the Turbo and the GT2. The 911 has always been a 2+2, except for the GT3 and GT2 that quickly ditched their rear seats to save weight. Ah, but the 911 has this ‘special character’ or ‘unique personality’, I hear you say. Really? The hydraulic steering, once THE defining character of a 911, is now electronic as per advanced technology. 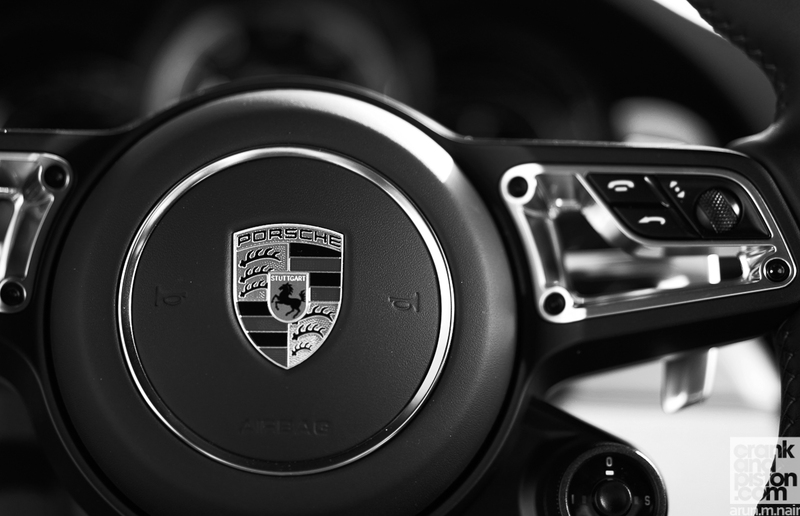 The six-speed manual gearbox was made extinct by Porsche’s seven-speed PDK, and they were always air-cooled, except for those that were water-cooled. All changes made thanks to countless technological and engineering advancements developed at Ingolstadt over the last half century. And yet the rear-mounted engine setup remains, despite the decades of work Porsche has spent juggling the laws of physics to make the once wayward 911 the exemplary handler it is today. Headaches, surely, a mid-engined sports car would not have caused, and it is extremely vexing to know that there are so many good engineers and scientists working in Stuttgart wasting their talents on a fool’s errand. Take the Cayman for instance, the best Porsche you can buy today, in this writer’s opinion, and a car whose potential has been artificially limited so as not to tramp on the 911’s mighty footprint. On top speed, the Cayman loses. On acceleration, the Cayman loses. On lap time, the Cayman loses. Admittedly as it should, given that it is a good $22,000 cheaper than the poster-boy. It does not lose where it matters though. The 911 supposedly takes 0.9G of lateral acceleration, while the mid-engined Cayman (ahem) takes 1.1G, and all with less rubber against the tarmac. Telling stuff, given that the 345bhp Cayman S drops only 25bhp to an entry level 911 Carrera using the same engine from which a top-spec Cayman GT4 produces 380bhp. Just imagine then what the 911 could be today. Imagine the army of engineers at Porsche being allowed to correct their ancestors’ initial mistake. Being able to relocate the engine to where they saw fit, just as FIAT and Volkswagen have done. Today we might have a 911-named Cayman, with 550bhp and a 2.7-second 0-100kph time at the price of a BMW M3. Foolhardy? Perhaps, since it will almost certainly never happen. But when you consider the recent announcement of a race-spec – and mid-engined – Porsche 911 RSR, it’s not impossible. Especially when, inevitably, the RSR starts racking up the wins, and – who knows – the clamour goes out, for a mid-engined 911 RSR for the road. One can only hope. Well, I can, anyway. If you are, however, a 911 purist, and truly need to cling to something, as some people still cling to the smell of paper books, fax communication, typewriters, cash payments and checkbooks, treasure the fact that the 911 still has a key-fob on the other side of the wheel. Make that the unshakable feature of the 911, and grow up. 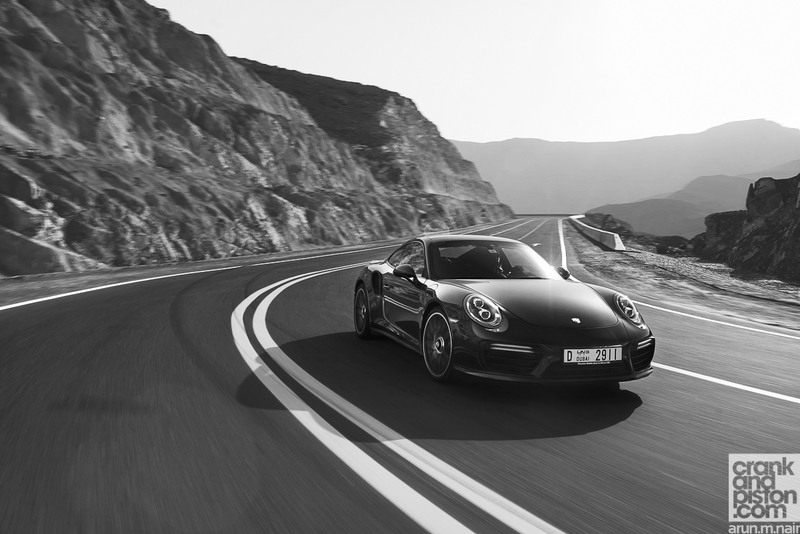 Enjoy our opinion piece on the Porsche 911?